ACTS Domestic Violence Services’ (Turning Points) mission is to empower victims to build lives free of violence through the many services we provide on their behalf. These services include an 18-bed shelter, court advocacy and accompaniment; crisis counseling, safety planning and psycho-educational support groups for adults and children; a 24-hour hot line; groups for court-ordered men and women; specialized services for Spanish speaking victims; community education as well as training for allied professionals, staff and potential volunteers. In FY2016, the Adult Services Specialists provided these services to 208 unduplicated victims. These provide many of our core services, including therapeutic support, safety planning, information and referral. These services are offered by phone and in person, depending on the needs and wishes of the survivor. 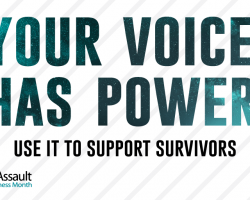 The Adult Services Specialists also provide survivor support groups, which clients find especially helpful and inspiring. The Adult Services Specialists are usually available to speak or meet with clients within 24 hours, especially when they are in crisis. Whenever possible, these Specialists also accommodate walk-in clients who do not have an appointment. In FY16, the Turning Points Court Services Advocate and Court Services Coordinator provided crisis intervention, safety planning, referrals and many other services for 809 victims and court accompaniments to 748 victims of domestic violence. 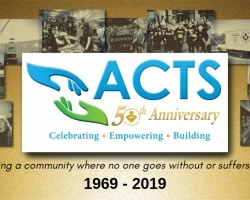 The diversity of the Greater Prince William Area’s population is quite evident in the ACTS Turning Points Court Services Program. Victims seeking assistance with protective orders come from widely varying backgrounds with increasingly complex issues. We know from experience that lack of representation at these adversarial hearings keeps many victims from taking the critical step of seeking a permanent protective order. The Court Services Advocate and Court Services Coordinator were able to obtain pro bono attorneys for 83% of clients who requested them. Additionally, the Court Supervisor and Court Advocate trained over 100 police officers about the dynamics of domestic violence and protective orders. In FY2016, the Children’s Services Specialist served 104 children with therapeutic support in individual sessions and support groups, and educated 155 members of the public. Twenty-eight percent of the population of our service area is under the age of eighteen. This figure suggests that, not only do hundreds of children in the Greater Prince William Area witness violence in their homes, but older adolescents and teens are engaging in violence in intimate relationships as well. It is estimated that one-third of teens are in or have been in an abusive personal relationship. The ultimate goal of every domestic violence program is to save the next generation of young women and men from violence and to teach them the value of healthy intimate relationships. Our commitment is to children and youth served by the ACTS Turning Points. Children’s Services Specialist includes one to one therapeutic support and safety planning in addition to group sessions (running concurrently with the adult victim groups) where children are offered age-appropriate learning experiences, skill-building exercises and facilitated discussions with their peers. The Children’s Services Specialist also offers awareness and education to children in our Safe House, as well as public schools, churches, homeless shelters, pregnancy clinics and other venues in the community regarding healthy versus unhealthy relationships, conflict resolution, anger management, bullying, cyber-stalking, and more. Children’s Services are where primary prevention takes place in the ACTS Domestic Violence Services (Turning Points) Program. These services decrease risk factors, especially those that educate teens about red flags (danger signs of an unhealthy relationship or a person who might be abusive) and green flags (signs of a healthy relationship or healthy person), each person’s rights in a relationship, conflict management, communication skills, and other topics. Our parental education at the Safe Houses is also a form of primary prevention, as it seeks to keep abuse from being passed down to the next generation, and reduce it in the current one. In FY2016, the Community Educator and her staff educated 3,655 members of the public, 184 allied professionals, screened 45 potential volunteers, and conducted 3 training's for volunteers and staff members. An uneducated community sustains, supports, and passively encourages domestic violence. The Community Educator educates the public, allied professionals, volunteers and staff members about the dynamics of domestic violence and its impact on families. This position also involves availability and participation on committees, task forces, and panel discussions. to change long held policies, procedures and biases that encumber and endanger battered spouses and partners. In FY2016, the ACTS Domestic Violence Safe House provided a safe haven for 67 adult victims of domestic violence and 98 children. Victims in crisis and their children have access to our 18-bed Safe House. Shelters can offer a consistent and structured environment that can minimize the crisis and open a window on a life without violence. While shelter availability is critical for victims at all socioeconomic levels, the reality is that shelters primarily serve low income families who have few alternatives. ACTS Turning Points Safe House is staffed 24 hours a day, 7 days per week. The Safe House Domestic Violence Case Manager and Safe House Supervisor provide concrete support to residents of our Safe Houses while also offering the emotional support, education and skill-building needed to enhance their resilience as they grow and strive to become independent individuals and healthy role models. The Safe House is where our 24-hour hotline is directed so that victims in crisis can have immediate access to shelter and trained advocates who can assist them with therapeutic support, safety planning, information and referral. Our own statistics show that Hispanics represented 563, or 34%, of the total number of adult victims that we served in FY2016. Fear of bias in the U.S. Judicial system against immigrants. In Prince William County, Hispanics and other immigrants face additional challenges because of immigration enforcement policies implemented in October 2007. Our Hispanic Services Specialists are fluent in Spanish. They provide therapeutic support for individuals and groups, safety planning, information and referrals for Hispanic adult victims, interpretation, and assignment of pro bono counsel, court advocacy and accompaniment. In FY2016, ACTS Domestic Violence Services provided support and education for 308 court ordered or self-referred men and women. The purpose of this program is to help participants learn to accept responsibility for their behavior, regulate anger, improve interpersonal communication skills and develop healthy self-esteem and relationships. Victims of domestic violence have often been traumatized by sexual, physical and/or emotional abuse and are in need of a higher level of care than the therapeutic support. 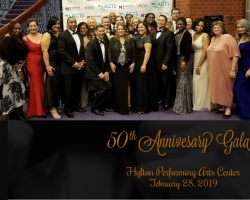 ACTS as recently been granted funding for a Crisis and Trauma Counselor, who will provide clinical individual and group counseling in order to assist crisis and trauma victims to process and heal from the trauma they have experienced.